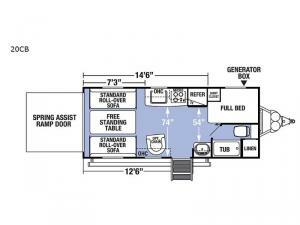 This XLR Boost toy hauler travel trailer by Forest River will make any off-road adventure fun! 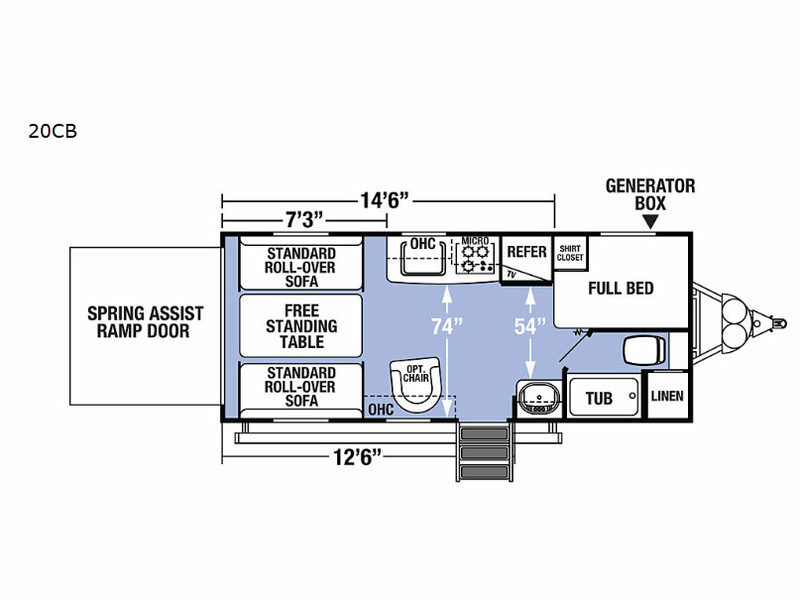 This unit sleeps four individuals and features a front full-size bed, a front bath, plus more! Notice the rear spring assist ramp door for easy loading and unloading of your four wheelers and dirt bikes. Inside there are two opposing standard roll-over sofas with a free-standing table between the two so that you can sit down for dinner and a game of cards. You will also find a shirt closet next to the bed and a linen closet in the bathroom.